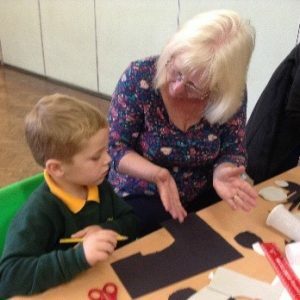 Home / School News / Family Learning Session – Insy Winsy Spider! 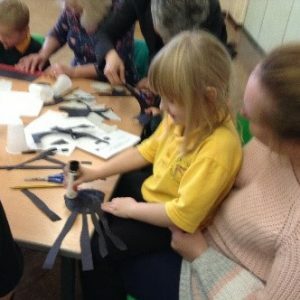 Family Learning Session – Insy Winsy Spider! 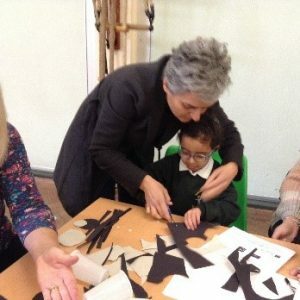 On Thursday 18th October we held our first family learning session. 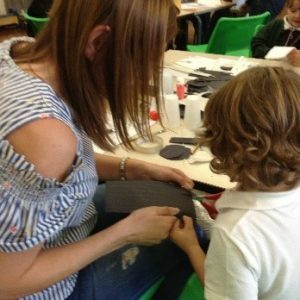 It was a ‘taster’, delivered by Fiona Yeoman, a family learning tutor from DMBC, with almost 50% of parents attending from Starlets Class. The session was very exciting and very much a ‘hands on’ session. 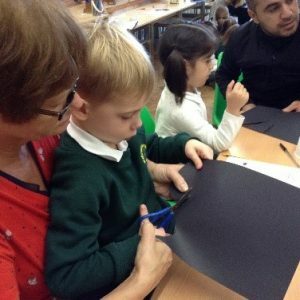 Each child made an Insy Winsy Spider’ and the session content included the use of mathematical language for measurement (long, short) in addition to scissors skills, joining materials together and singing the nursery rhyme. 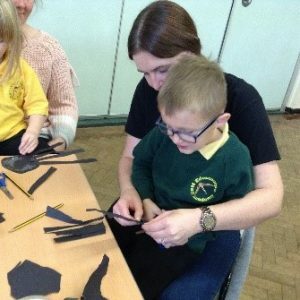 Throughout the session adults were able to work with their child to develop all of these skills and also social interaction and conversational skills. I’m not sure who had the most fun; the adults or the children as some of the ‘makes’ got quite competitive! Fiona provided useful ideas after the session for how to develop these further at home. The Family Learning Team access funding for their community projects and are a valuable resource with their expertise and knowledge. They are available to run sessions at least each term and these sessions are available for school to access, free of charge. However the sessions will be only be viable if at least 8 parents can commit to any of the 6 week projects. Parents who did attend last Thursday were asked for their ideas and what support or sessions they would like to see on offer. Potential sessions will include; phonics, maths, storytelling through making story props. Please do support us as much as you can, as these sessions will be extremely valuable and fun, the learning potential for your child to attend these sessions with you is immense. Further dates and information to follow. Mrs Bratcher & The Foundation Stage Team.